Tweens & Contact Lenses – Made for each other! By Shirley Ha, BSc. (Hons), O.D. Who are tweens? According to Wikipedia, they are youths, usually between the ages of 8 and 12. These young people go through a transitional phase of self-awareness and discovery, peer pressure and social acceptance as they develop their independence and interact with others. At that stage, adding eyeglasses with their associated social stigma can be an overwhelming experience. Alternatively, adjunct contact lenses can provide tweens with additional benefits beyond simple vision correction for refractive errors. Tweens are continually figuring out their identities and how they fit in with and contribute to society. Even with today’s vast array of colourful and trendy frames, tweens welcome the prospect of contact lenses when given the opportunity. Although tweens make up a small percentage of your patient population, practitioners should ask about their interest in wearing contact lenses and never limit the choices available to them. Offer every tween and parent the option of selecting contact lenses as an alternative to eyeglasses. With parental approval and support, the social benefits, along with the known visual benefits and safety of contact lenses are undeniable. 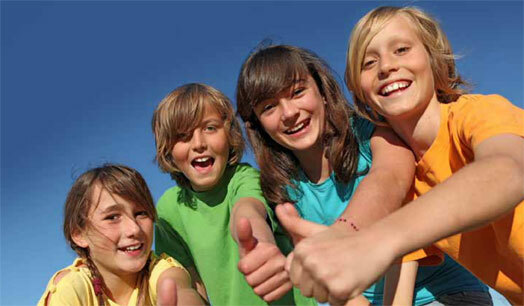 Build on the excitement of that first fit and have tweens spread their enthusiasm to friends and family members. And don’t forget to prescribe appropriate sunglasses and eye protection for sports, too. Finally, what’s not to like about the revenue opportunities that happy parents and tweens offer you? They make for a winning combination. [i] JELLESMA, F.C. “Do glasses change children’s perceptions? Effects of eyeglasses on peer- and self-perception”, European Journal of Developmental Psychology, July 2012, Volume 0, Issue 0, pp 1-12. [ii] SILBERT, J.A. “Fitting Tweens and Teens with Daily Disposables”, Contact Lens Spectrum, April 2009. [iii] Children & Contact Lenses: Doctors’ Attitudes & Practices in Fitting Children in Contacts, AOA Executive Summary, October 2010. [iv] WALLINE, J.J., JONES, L.A., SINNOTT, L., CHITKARA, M., COFFEY, B., JACKSON, J.M., MANNY, R.E., RAH, M.J., PRINSTEIN, M.J., the ACHIEVE Study Group. “Randomized trial of the effect of contact lens wear on self-perception in children”, Optometry and Vision Science, March 2009, Volume 86, Issue 3, pp 222-32. [v] RAH, M.J., WALLINE, J.J., JONES-JORDAN, L.A., SINNOTT, L.T., JACKSON, J.M., MANNY, R.E., COFFEY, B., LYONS, S.; the ACHIEVE Study Group. “Vision Specific Quality of Life of Pediatric Contact Lens Wearers”, Optometry and Vision Science, August 2010, Volume 87, Issue 8, pp 560-6. [vi] WALLINE, J.J., LONG, S., ZADNIK, K. “Daily Disposable Contact Lens Wear in Myopic Children”, Optometry and Vision Science, April 2004, Volume 81, Issue 4, pp 255-9. [vii] WALLINE, J.J., GAUME, A., JONES, L.A., RAH, M.J., MANNY, R.E., BERNTSEN, D.A., CHITKARA, M., KIM, A., QUINN, N. “Benefits of Contact Lens Wear for Children and Teens”, Eye Contact Lens, November 2007, Volume 33, Issue 6, Part 1 of 2, pp 317-21. [ix] CHALMERS, R.L., WAGNER, H., MITCHELL, L., LAM, D.Y., KINOSHITA, B.T., JANSEN, M.E., RICHDALE, K., SORBARA, L., MCMAHON, T.T. “Age and Other Risk Factors for Corneal Infiltrative and Inflammatory Events in Young Soft Contact Lens Wearers from the Contact Lens Assessment in Youth (CLAY) Study”, Investigative Ophthalmology & Vision Science, August 2011, Volume 52, no. 9, pp 6690-6. [x] WALLINE, J.J., EMCH, A.J., LAUL, A., REUTER, K., NICHOLS, J.J. Comparison of success in contact lens wearers fitted as children vs teenagers, ARVO poster May 2011. This entry was posted in Making Contact by Envision Magazine. Bookmark the permalink.